The UFIT team comprising Dave Lee (Physiotherapist at UFIT Clinic Orchard) and Simon Porter (Head of UFIT Performance) have worked closely with the team at Visa Singapore to perform desk assessment demonstrations and provided education on correct sitting posture and desk set-ups to stay pain free. Here are the exercises and stretches that work best performed at the desk. A handful of these exercises you can do at home or at the gym to help bulletproof your back, neck and hips against being seated all day. 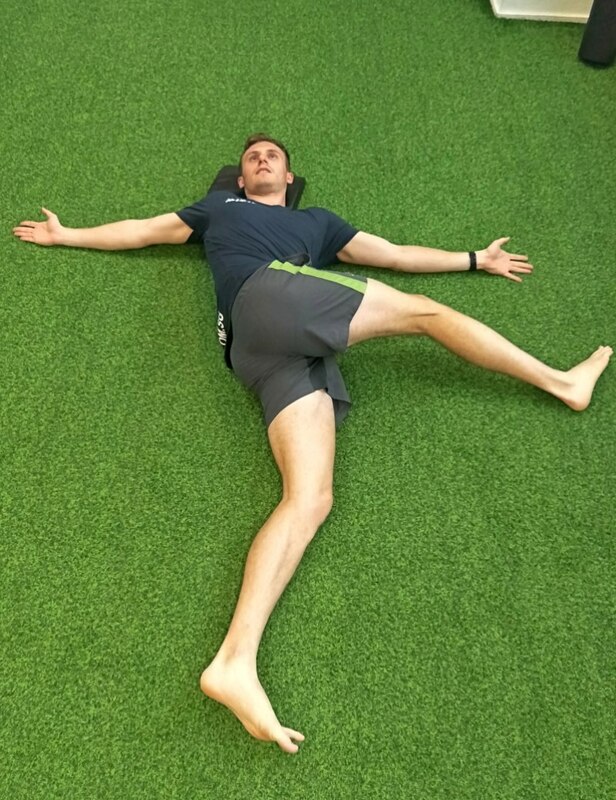 Dave Lee, Physiotherapist at UFIT Clinic Orchard and triathlete, gives us insight into the world of triathlon competitions and some common injuries and issues that may occur. If you are participating in the Metasprint Series Singapore Bike-Run Duathlon on 10 March 2019, Dave’s knowledge of injuries that affect endurance athletes, especially cyclists, can help you gain better understanding and nip any issues in the bud before problems arise. Being active in sports, UFIT Clinic Orchard’s Senior Physiotherapist and competitive Muay Thai fighter Nada Khalid listens to her body and is aware of any issues that might arise. She would be able to take the necessary actions and precautions as needed. That being said, this will not always be the case when it comes to children who are active in sports. Jade Sarsero, Physiotherapist at UFIT Clinic and CrossFitter at UFIT Tanjong Pagar gets ready for the CrossFit Open talks about why it’s a great sport and how becoming friends with your physical therapists can really help you improve your performance and get the most out of your competition in 2019. Having a Bad Back - Physiotherapist, Osteopath or Chiropractor? UFIT Osteopath, Paul Stoenescu gives us a break down on the difference between a Physiotherapist, Osteopath and a Chiropractor to help you make an informed decision when you are unsure of the rehabilitation medicine that you should be going for. Neck Pain or Whiplash? Know the Difference. Ever experienced bad neck pain after trauma and are unsure if you have a whiplash injury? Fret not, you are not alone! Whiplash is very commonly ignored and passed off as muscle pain and stiffness. UFIT Senior Physiotherapist Gaya Mahendram gives us just the tips to identify, recover and prevent a Whiplash injury. Chronic back pain has become a world-wide epidemic. This discomfort can cause issues with nearly every aspect of life; exercise, work, driving, and, arguably the most intrusive, sleep. For those of you that already suffer from back pain, here are some of the best sleeping positions to try out. Try them out to get the sleep you need and deserve! While everybody is gearing up for the Spartan Race this weekend, Cassandra Hie, our Sports Massage Therapist shares 5 useful tips that would help even the most hardened Spartan recover for the next challenge. Preparing to take part in an obstacle course or an endurance race? Here are some tips from a Physiotherapist to help you in the build-up, pre-race, and post-race to ensure you stay in top condition and injury-free. How intense should your workouts be when you’re pregnant? As a general rule of thumb, you should feel a little shortness of breath, but not to the extend that you can’t talk at the same time. Read on for more pregnancy exercise tips. The seemingly simple ankle sprain, if improperly treated, has the potential to cause long-term damage (and possibly recur), leading to a real reduction in our quality of life. This is what you should be doing instead to rehab your sprained ankle effectively. Whether you are a seasoned marathon runner or a beginner jogger, time and time again you've probably heard this: RUNNING TOO MUCH IS BAD FOR YOUR KNEES. As a Physiotherapist who runs frequently, I'd be a millionaire if I was given a dollar every time I was asked the question, “Will running damage my knees?" or being told, "You're a Physio, you should know that running damages your knees!" 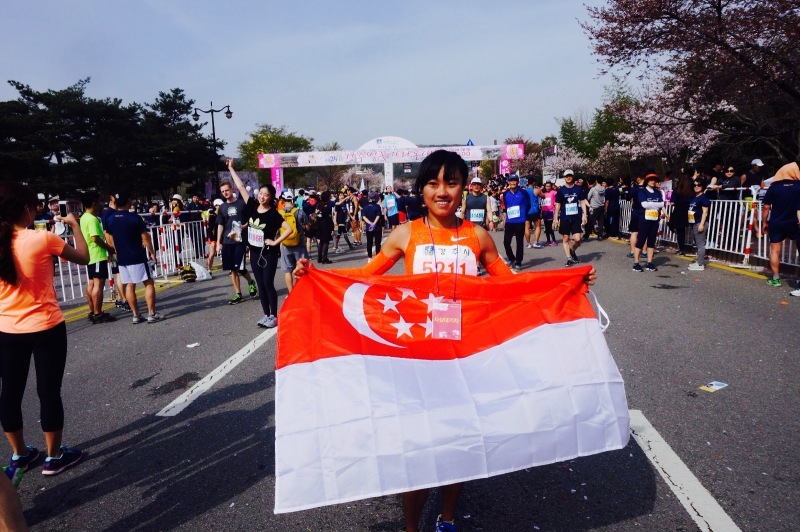 The fastest woman in Singapore - the author holds the women's half marathon national record of 1hr 23min 14sec! A 2016 research done with more than 2500 Osteoarthritis Initiative participants shows that running has no correlation with knee damage. Another study also found that running decreases inflammatory markers correlated with knee pain and degeneration. The study discovered that the cyclical loading of the knee joint during running promotes healthy cartilage turnover in the knees. The bending and straightening of the knee, along with the loading and unloading of the knee during running, circulates the joint fluid and provides nourishment to the surrounding tissues. So is it okay for you to run ten marathons one after another then? The answer is NO. If performed in the wrong manner, running can injure you, just like any other sport! What are the 3 main causes for running injuries in Singapore? Running is a sport that involves symmetrical weight bearing. Ultimately our running speed is only as fast as our stronger leg can work. In my experience as a physiotherapist, identifying the areas of muscular strength and length imbalances appear to be the most straightforward way of pain reduction and injury prevention. I can often get my patients to run without pain by simply identifying and tackling their weak and tight muscles. If the weaker leg begins to lag, the stronger leg starts to take on more responsibility in moving the body forward. Muscular strength imbalances put you at a risk of overworking the stronger leg. Otherwise, the weaker leg simply ends up working way beyond what it can manage. It is crucial to have symmetrical strength so that both your legs are working together to propel the body forwards. Overtraining – or overloading the capacity of your muscles is another common cause of running injuries. During a hard training session, your muscle fibres break down, and for that period, your body is temporarily weaker. At this stage, you must rest to allow your muscles to repair and heal, after which it is stronger. A sudden increase in mileage or accumulation of high mileage without adequately resting can prevent the healing process of your muscles. Excessive loading can eventually exceed your muscles’ loading capacity. This is when injury occurs. This is the most common cause of exercise related injuries in our modern-day society. Running is an efficient sport to raise our heart rates and burn calories, so it is no surprise that it is the go to exercise for the "weekend warriors". These people are generally inactive during the work week, and then come weekend, switch gears from zero to five and do a marathon-distance run. These runners are essentially overloading onto an imbalanced muscular system – a result of accumulated sitting from Monday to Friday. 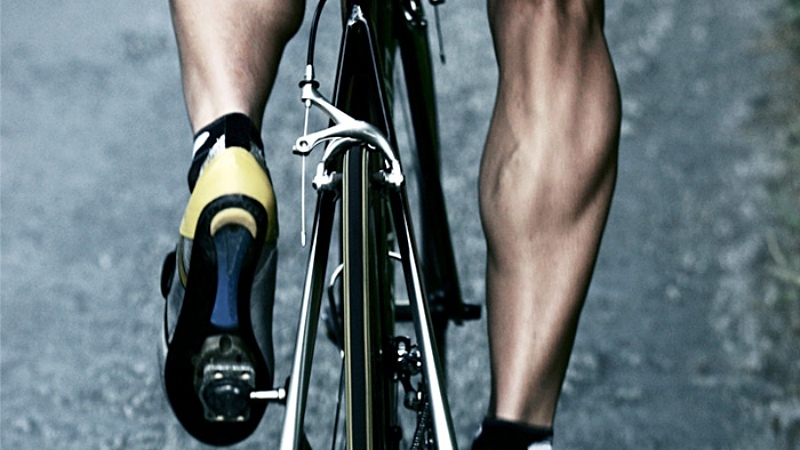 Muscles can change its length tension if you stay in the same position over a period of time. Therefore, sitting for too long can lead to certain muscular imbalances such as tight hip flexors, weak glutes, weak abdominals, tight lower back muscles…just to name a few. If you are a weekend warrior, you should consider incorporating a couple of short pre-habilitative exercises during the weekdays, to minimise the number of imbalances before you begin any heavy training regime on the weekends. How can Physiotherapy help prevent overloading injuries? Ensure that your muscles have adequate loading capacity to take on your current training load. Use different functional testing to make sure your muscles can tolerate and sustain loads relative to your training level. By analysing your movement patterns – such as running hard on the treadmill, a Physio can gather clues as to whether your muscles have adequate capacity to load well at higher running speeds. The Physio can then prescribe you with the right type of exercises to do to complement your training regime. Remember not to bump up your running volume too fast and too soon. Happy running! Mok Ying Rong is a Physiotherapist at UFIT Clinic. With an intense passion in the musculoskeletal field, she utilises a holistic manual approach alongside an energetic desire to get people back to a pain-free status. 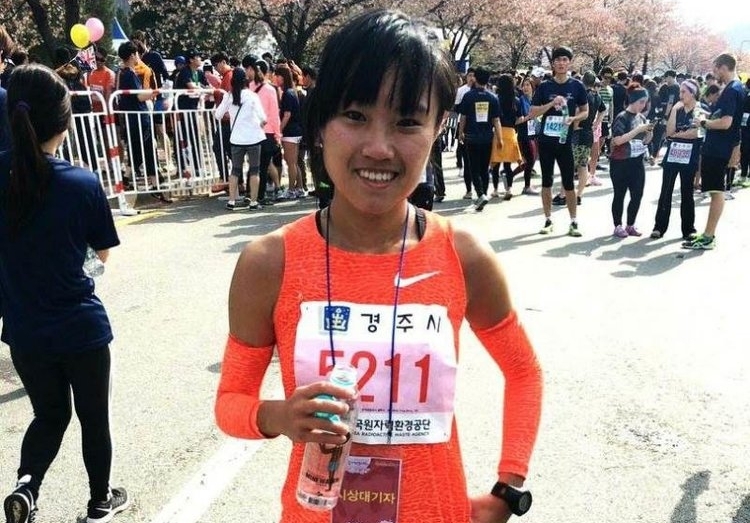 Ying's niche is in analysing and treating issues related to the running biomechanics. Ever heard the expression: “Age is just a number.”? When it comes to health and fitness, this expression is 100% true. A 40 or 50-year-old who trains regularly and looks after their nutrition will likely to be in a lot better shape than a 20-year-old living a sedate lifestyle and eating a diet of junk food and fizzy drinks. Don't let age define what you can, or cannot do. The amazing thing is that these legs may even look quite similar on the outside, but notice the difference once we look into the scans! As you can see, it is not the age that makes the difference, but the lifestyle. (Never let anyone tell you that you are too old to do something!) Those who maintain an active lifestyle and eat clean, nutritious food is more likely to be healthy, whereas those who are not as active will lose fitness and function more quickly as you age. Losing fitness and function is a huge issue for the elderly, as it will lead to a sharp decline in independence. As we get older, the cells in our body don’t regenerate as fast or as well as they once did, which results in a longer recovery time. A hamstring strain in a teenager should heal faster than someone in their 40s (presuming they’ve done their rehab correctly). One reason for this physiologically is that elastin – the component that allows tissues to stretch – slows down in production considerably after 40. As well as having less flexible tissues, lubricant in your joints (known as the synovial fluid) lessens, which reduces the shock-absorbing capacity, increasing the chances of developing Osteoarthritis. Unfortunately, there is no way of reversing the loss of synovial fluid production, it is simply part and parcel of the aging process. One of the most common issues we see in the clinics is Knee Arthritis, and best way to treat this is to reduce the stress on your joints. This doesn’t mean sitting down all day. On the contrary, it means modifying the exercises you do, and correctly loading the joints by strengthening the surrounding muscles. By strengthening the muscles around your legs, they are capable of accepting a greater load, meaning that less force will go onto the knee. The American College of Sports Medicine states that the population who benefit the most from exercise are post-menopausal women. Exercise helps to fight against Osteoporosis by reducing the breakdown of bone density, which many post-menopausal women tend to suffer from. As with all things, prevention is better than cure. So it is essential that you maintain a strong foundation of fitness and health. Rather than playing catch up on your health trying to fight off the effects of an unhealthy lifestyle, it is better and easier to look after yourself throughout your life by maintaining a good level of fitness. As a rule of thumb, the most important muscles to look after as you get older are your quadriceps at the front of your thighs. They are important to strengthen in order to reduce the risk of arthritic pain as you reach middle age, and for the elderly past their 60s - the strength to stand up and walk independently. For the “weekend warriors” with desk-bound jobs (which applies to most readers), it is essential that you stretch and mobilise your back before every training. If you are not warming up properly prior to your workouts after sitting for prolonged periods, you will likely be too stiff and immobile, which can lead to compensations and injuries in the upper and lower back, hips, shoulders, and neck. 1. Foam rolling your upper and lower back. 3. Open book upper back rotations with foam roller support. 4. Wall squats - these can be done as holds in the bottom position. 5. Straight leg raises (if wall squats are irritable on the knees). Aging (and the body aches and deterioration that comes with it) is a part of nature’s process that unfortunately cannot be reversed. However, staying fit and healthy is a choice that you can make. Keeping strong and mobile is the key to injury and illness prevention, allowing you to live your life to the fullest even as you get older! For a customised and extensive assessment of your physical well-being and muscle health, book a consultation with a Physiotherapist. Kieran Sasiadek is a UK trained Physiotherapist with extensive clinical experience at UK’s NHS hospitals and clinics, as well as with professional football club Burnley FC. In Singapore, Kieran spent three years with Jurong Health Services working with the Intensive Care, General Medicine, Orthopaedics, and Sports Rehabilitation units. He also presented published research in that time. Subsequently, he was the Head of Physiotherapy at a private clinic before joining UFIT Clinic. Kieran is an avid sportsman, active in rugby, touch rugby, soccer, Gaelic football, and basketball. His love of sports compliments his passion in treating sports injuries in amateur and professional athletes. His main ethos is to provide his clients with the independence to take control of their rehabilitation program, and enjoy the process of recovery. Summer holidays are upon us! For many of us, that means it is the time of the year to visit friends and families across the globe, or jetting off on a plane to a well-deserved holiday destination. As much as we love getting away, quite often a long flight can cause us aches and pains, and more than a little discomfort. The environment and conditions on the plane itself can cause some physiological changes in the body, and can get especially obvious on long-haul flights. Below are some of the common symptoms you might experience, and some suggestions on what you can do to keep them at bay, and arrive at your holiday destination refreshed and ready to go! WHAT HAPPENS TO YOUR BODY ON A LONG-HAUL FLIGHT? Experiencing discomfort from muscle stiffness or swelling after a long flight? Get professional help from UFIT Clinic's team of massage therapists! Dipti Mistry is a UK trained Sports Therapist and an APPI-trained Pilates Instructor. 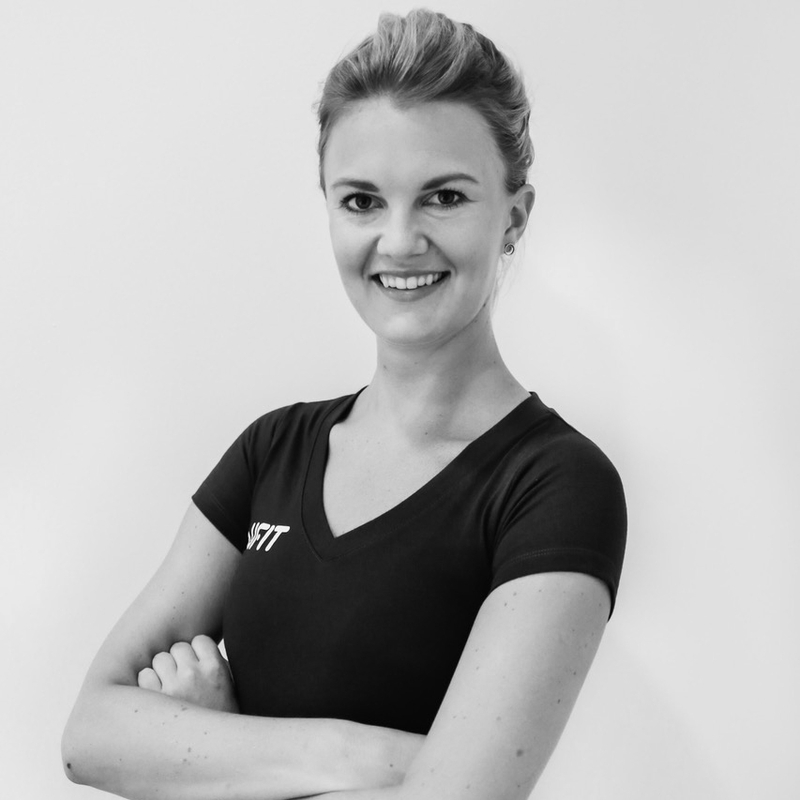 She specialises in sports injuries, from assessment to full rehabilitation while incorporating the Pilates principles into her programs. She believes in the importance of encouraging energy-efficient movement patterns and postural/body awareness which reduces the risk of further injuries. Through Pilates she has developed a deeper understanding of chronic over-use problems and postural/muscular imbalances that are often related to lower back pain, shoulder, and neck issues. As well as clinical practice, she has also worked alongside professional and amateur teams in football, field hockey, rugby, tennis, and athletics in London and Singapore.